Also known as runner’s knee, iliotibial band syndrome is a common hindrance amongst runners. But what are the exact causes of IT band syndrome, symptoms it might trigger, and treatment options for the injury? Learn how to handle iliotibial band syndrome and get your stride back here! The iliotibial band (IT) or tract is a thick strip of connective tissue, or ligament, that runs down the outside of the thigh and connects the hip muscles to the tibia of the lower leg. The IT band plays an important role in the movement of the thigh and helps stabilize and move the knee joint. Iliotibial band syndrome (ITBS) is technically an overuse injury of the tissue, which is often caused by friction as the tissue tightens and rubs over the knee. 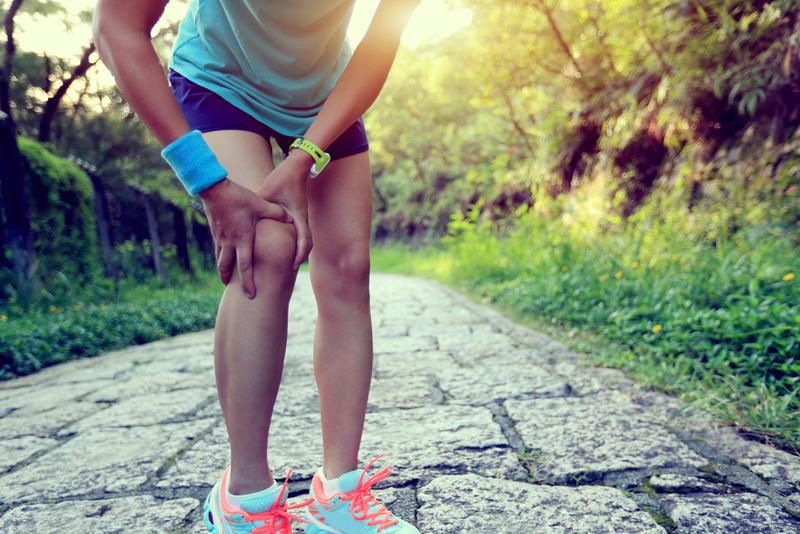 Iliotibial band syndrome mostly affects individuals who partake in activities that involve repetitive bending and flexing of the knee, including long-distance running and walking, cycling, hiking, and squatting. Poor running form and the shoes chosen to wear can cause IT band syndrome, while ITBS can also be the result of a combination of issues, including poor training habits and tight and weak muscles, particularly involving the lower back, pelvis, hips, and knees. The main symptom of IT band syndrome is localized, sharp pain on the outside of the knee just above the joint. Most individuals experience the pain at a certain time during a run or activity, which gradually worsens and continues until the run stops. Other individuals experience pain between the hip and knee that worsens with activity, which may be accommodated by swelling. IT band syndrome may cause aching, burning, tenderness, and a clicking feeling on the outside of the knee or pain radiating up and down the leg. If symptoms worsen or do not subside, it is important to seek out medical assistance promptly. 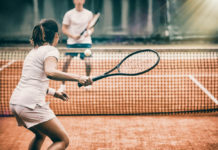 Iliotibial band syndrome is treatable following a diagnosis, which often involves a health history including IT band symptoms, a physical exam, and potentially an X-ray. Common therapies include stretching exercises, physical therapy, and massage. Self-care is often recommended, which includes rest form or the reduction of physical activity and cold compression to reduce inflammation and dull pain sensation. Nonsteroidal anti-inflammatory drugs (NSAIDs), steroids, and analgesics may also be recommended or prescribed to relieve pain, reduce inflammation, and grow and repair tissue. In very rare cases, surgery may be needed. Rest completely or reduce mileage if you start to feel pain on the outside of the knee. Also avoid doing any sort of squat motion if experiencing discomfort. Warm up with a half-mile walk before starting the run and cooling down appropriately. Stretch the IT band, hip and thigh muscles, and hamstrings regularly. A foam roller can help loosen the IT band and surrounding muscles. Run with a shorter stride and on flatter surfaces. Wear running shoes that complement and support your feet. A podiatrist can help you figure out which shoe works best for you, along with whether or not you may need orthotic inserts. As a general reference, you should switch out running shoes every 300 to 500 miles. Strengthen and support leg muscles with exercises for IT band syndrome. Nonetheless, always listen to your body and never dismiss any nagging or dulling discomforts, as they can be a sign of an underlying issue and lessen the likelihood of (further) injury. Seeking out professional care can also help reassure appropriate and safe guidance to treat the injury itself and lessen the risk of it reoccurring.